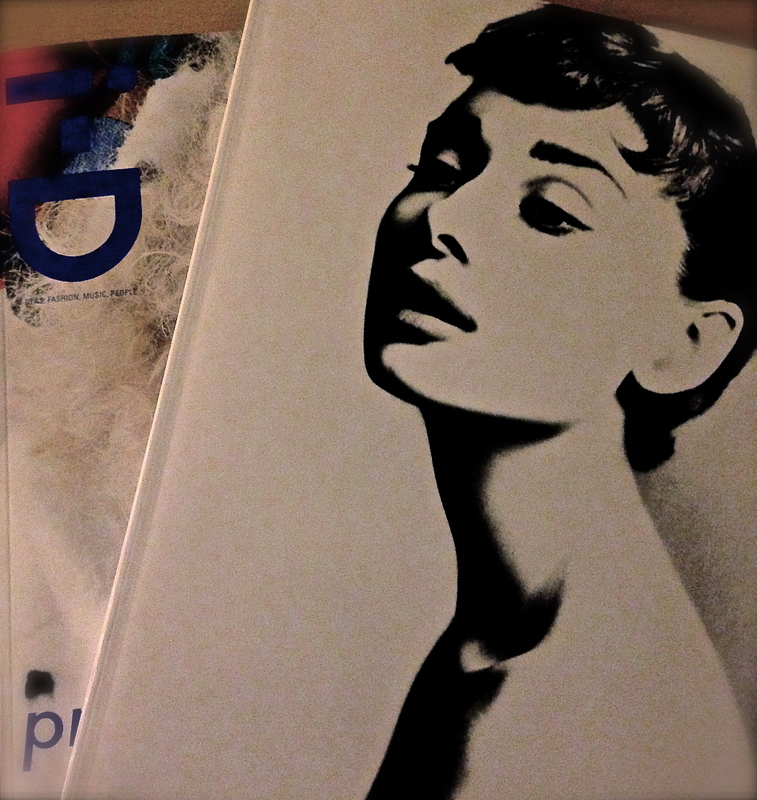 Rather than my own photography this post/diary entry is more to do with my thoughts on fashion. This has come about because I have been thinking about how lighting works in photography… No light, No Photo! You do not have to be a fashion guru to appreciate fashion photography but from a novice photographers point of view I guessed I might learn a little about lighting by flicking through a couple of fashion magazines. Whether they are working in a studio or on location, lighting is a key component. Its also the end of London fashion week and there is also an article about David Bailey in ID Magazine that I wanted to read before going to an exhibition currently at The National Portrait Gallery in London. I only intended on getting one magazine but I ended up buying a copy of Harper’s Bizaar and only because it had a cover image of probably the second most beautiful woman to ever walk this earth. Fashion! Most definitely something I never thought I’d be interested in and I certainly never thought I would find myself buying two fashion mags to peruse and study the images. Well, when I was a youngster I was blinkered with my music tastes. I liked Punk, Ska, Oi! A little bit of Motown and some Northern Soul. That was it, as far as I was concerned disco, pop, indulgent rock, jazz and countless other styles of music failed to get me going. Things have changed since I started trying to learn the guitar. There is no such thing as rubbish music, just some stuff that doesn’t turn me on. But I can appreciate how much work has gone into the musicians learning their instruments and then composing and arranging their work. So much so that I really dislike it when people don’t acknowledge people or bands that are playing ‘background music’ or small bars and so on. I must try and stay focused and not wonder off….I dressed appropriately to the music genres that I followed. Sometimes smart with Ben Sherman Shirts, Brutus Shirts, Stay Press, Occasionally a suit. Other times, especially going to gigs or just knocking about on the different council estates I grew up on or heading to the pub (We never got age checked for smokes, booze or fireworks. It was a totally different world) I’d wear bleached jeans, Doc Martin boots, a fred perry polo shirt or a t-shirt from various different bands. Fashion! You’d have thought that was a bit of a dirty word, we’d only ever discuss it in terms of the ‘trendies’, ‘high fashion’ or ‘kings road punks’; viewed as ‘Fashion Victims! Distancing ourselves we would refer to them along the lines of “Those Trendy Wanker’s!” (A good British slang term). It makes me smile now because somewhat ironically I was part of a youth subculture that for the vast majority was nothing more than a street fashion. I have also had it pointed out that I was a bit of a label snob without ever realising it. Not the high end labels but those worn from my style of street fashion. Truth be told, I guess I probably still am. I still dress in a particular way that people who know the look from the Mod/Skinhead/Suedhead/Rude Boy genres would be able to know my fashion origins and influences. I like to think I wear what I wear in an age appropriate way rather than looking like a middle aged fella trying to hang onto the past. Anyway! Fashion! Yes my mates and I were caught up in street fashion without realising and thirty years later it has only just really dawned on me. Matt White (I mentioned him before) suggested I follow The Sartorialist. Partly because of the photography but like a few other people he pointed out that I do sometimes comment on what people are wearing. Not that I have an interest in big fashion labels or all things by known designers; more that I notice when people stand out because they look particularly smart, look unique, have an attitude in what they are wearing or really do just stand out from their surroundings. Again, this is not something I have been particularly aware of doing but I guess if a few people have pointed it out and are in agreement there must be an element of truth to it. I actually really like The Sartorialist and maybe doing a ‘One Hundred Strangers’ project taking some cues from The Sartorialist would be a good way of practicing portraits. I have been told this is how ID magazine started life but at least there were different youth styles to photograph. I look around today and I don’t really see much of a difference between one bunch of skateboarders or a bunch of hoodies. It is all just a big blended mishmash to me. I might give it a go, if only to practice taking portraits. “I never considered myself a fashion photographer. I’ve never really been interested in fashion. The reason I did fashion was that I liked what was in the frocks.” (David Bailey). I kind of guess thats clever foresight and works in the same way as a straight man getting a job as an air steward or a nurse. Fashion! To be honest its all been a bit of a revelation to me and whether we are conscious of it or not, fashion does actually influence all of us in one way or another. I’d never taken notice of fashion photography but now I’ve had a little peek at it I’m not going to say never. So if you get stopped by someone anxiously asking to take your portrait and talking gibberish about street style, it might be me. So be nice.